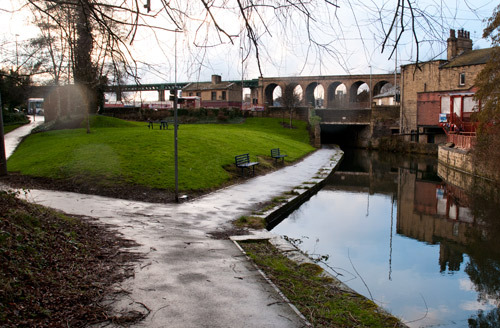 This is a short walk of just over 2 miles, which takes you away from the hustle of the town. It is surprisingly green and rural considering just how close it is. Allow yourself an hour for this walk, and expect some mud. The footpaths are well trodden, but I was unable to see any signage, so you need to be careful to turn up towards the cricket ground. If you miss the turn, don’t worry, just follow the old disused road, and take the turning at the old quarry entrance. so I popped into Costa for a cheeky latte. Refreshed you pass the Stadium, I always loose track of what they are calling it these days, McAlpine, Galpharm, John Smiths? The last short stretch passes the Golf range, exiting the car park at the rear right, then along the track to get back to the start. Discover Huddersfield have produced a series of little guided walk booklets, I decided to grab one and get out for a lunchtime walk and see what it is about. Impressive as the station is, remember to look at the other buildings which surround the square. Head off along Railway street which is to your left as you look at the station. Can you spot this cheeky fella? Was this a statement by a disgruntled stone mason? There is a lot of information packed into the tiny booklet. I’m really pleased that I decided to take this short walk on. 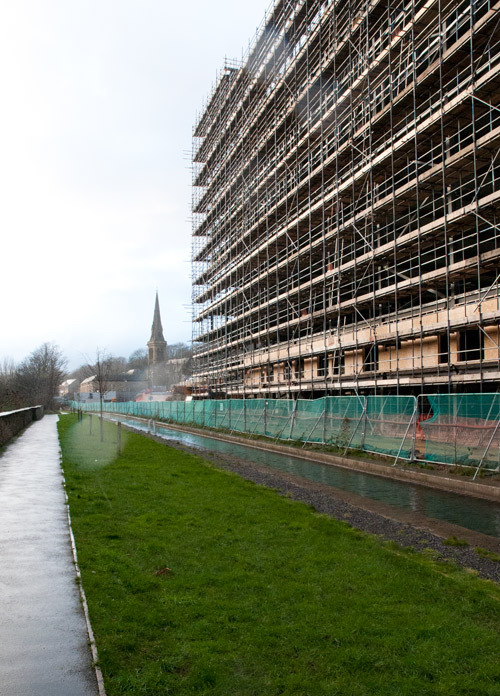 On Facebook, the ability to walk from Aspley to Marsden on the canal bank was questioned, so yesterday, I decided to walk home that way and see what happened. 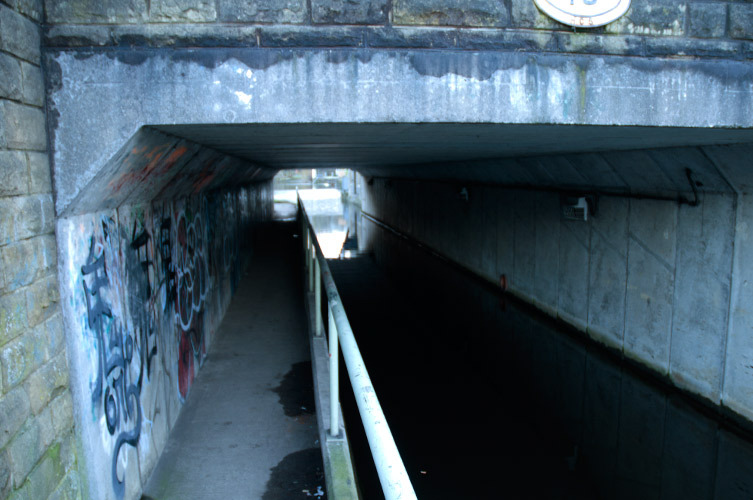 At Aspley, you can sneak under the main road, making it possible to avoid being killed by the traffic, always a bonus. 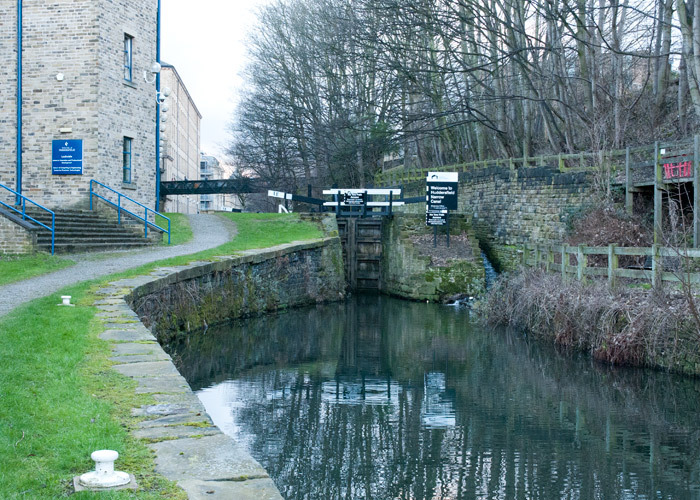 Leaving that part of the university behind, the canal changes to the Huddersfield Narrow Canal. It was the Broad Canal up to this point. Anyway, back to the canal, which we won’t have for much longer. 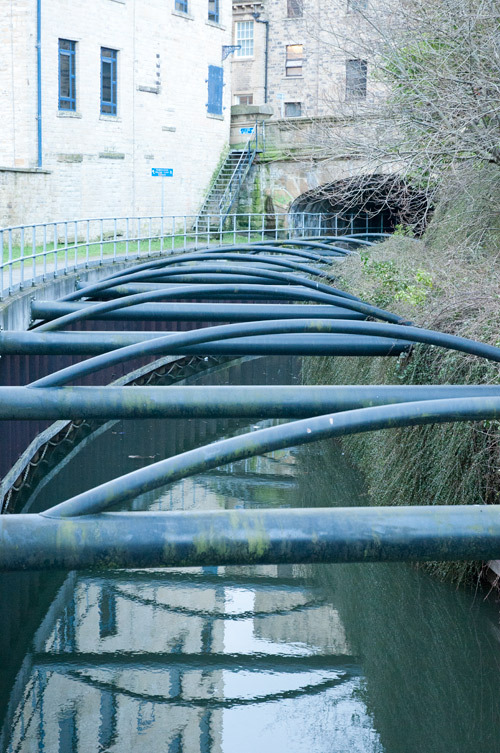 Some serious metalwork supports the banking just prior to the canal entering a tunnel, which we can’t follow. There is a steel staircase which it is necessary for us to climb. Be really careful if it is wet or cold, this can get really slippy. We can now answer the question. 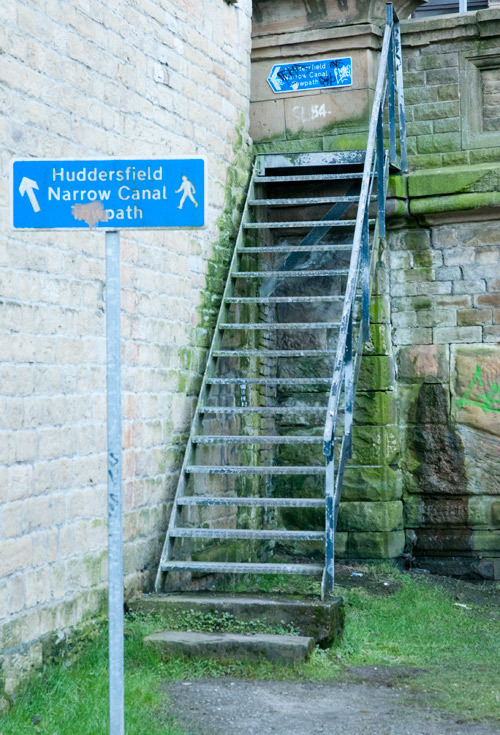 No, it is not possible to follow the canal from Aspley to Marsden, however, turn left at the top of the stairs, walk to the bottom of the road and turn right. 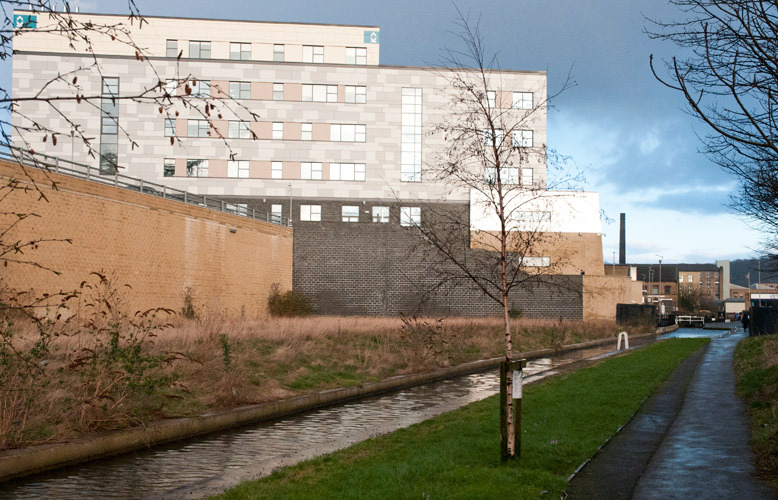 Head to the Kirklees College building. 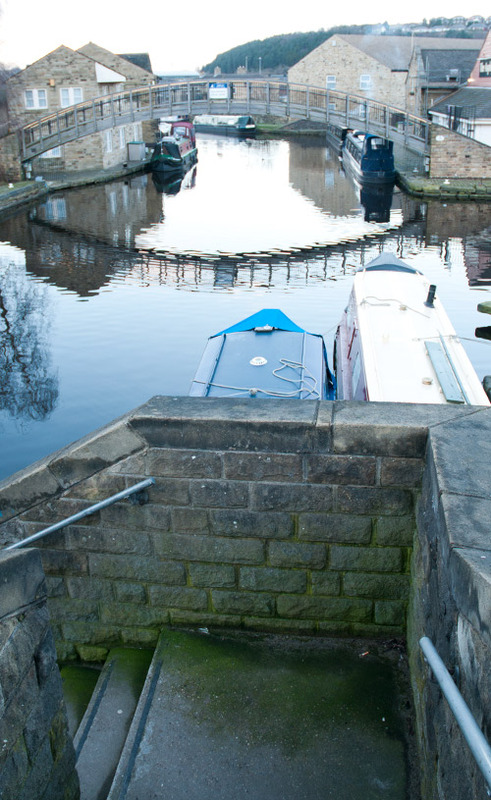 Total distance away from the canal is 350m. 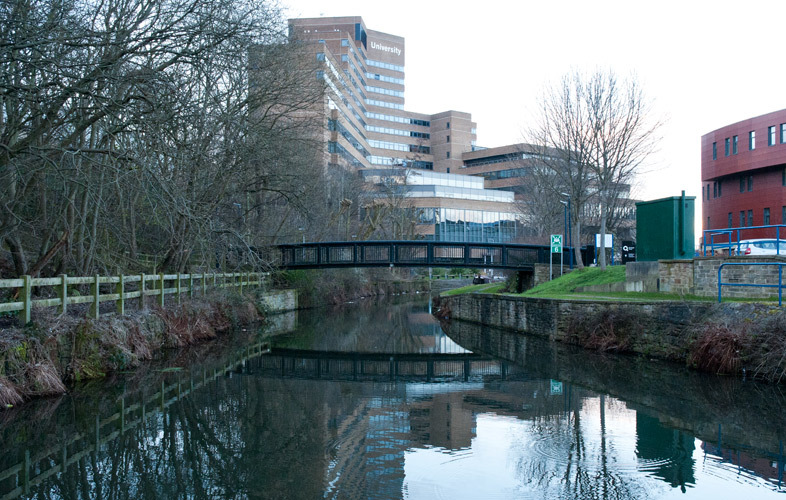 When you get to the college, you are back with the canal, and can continue along to Longroyd bridge. 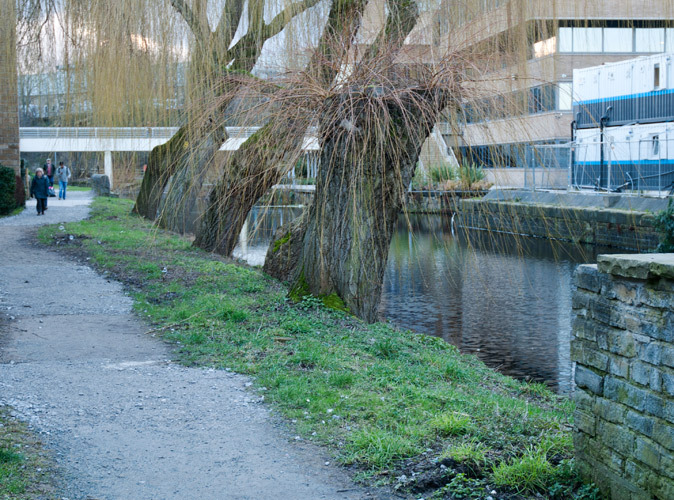 The Tow Path is well maintained, and tarmac all the way along this stretch. 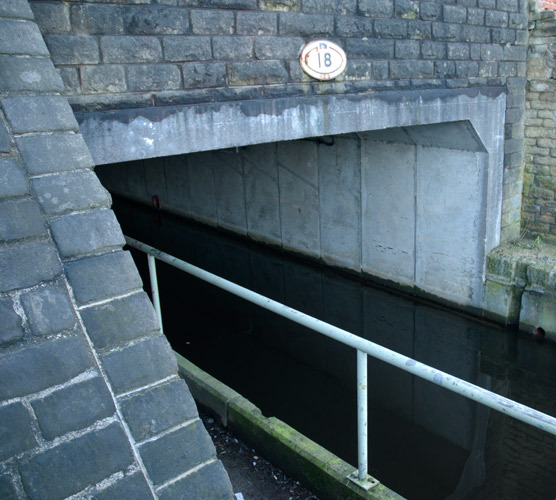 At Longroyd Bridge, we will follow the left fork, and go under the main road via this short tunnel. Some thoughtful person even sign posted the route for us. 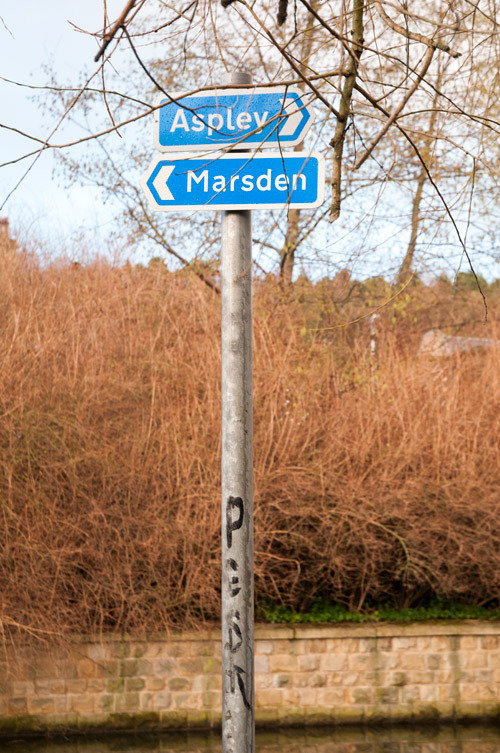 From here on, the route is really straight forward, but not for me, as this is part of my homeward walk, and I don’t live in Marsden. 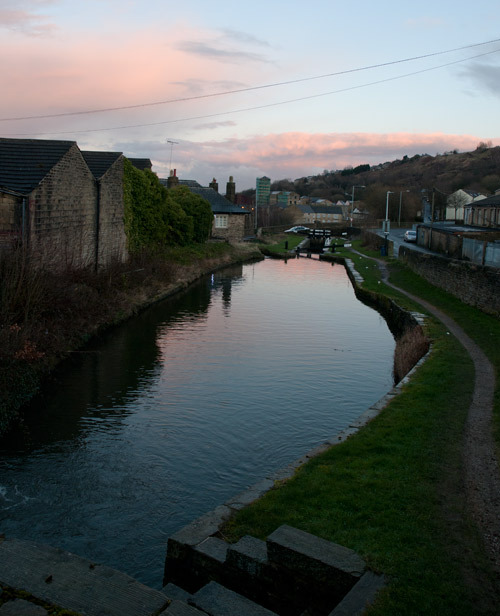 So I leave at sunset at Milnsbridge.